Simplify Service!. 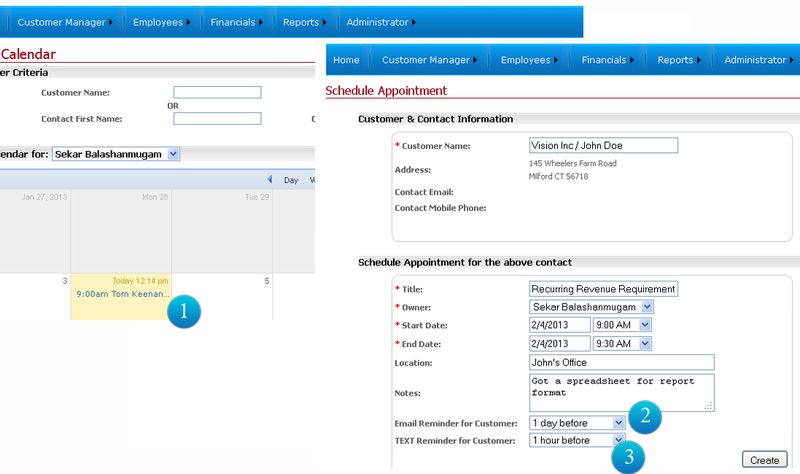 Manage Customer Appointments, Workorders and Cases. Appointment calendar can be viewed Monthly, daily, or weekly. Appointments can be dragged between days to change schedule. An automatic email notification can be scheduled to a customer before the appointment. A SMS/TEXT notification can be scheduled to customer mobile phone before the appointment.